From the moment she roars, "They tried to make me go to rehab/ I said 'No No No,'" you'll be struck by a metaphysical question: Who stuffed all those black ladies into that tiny white girl? Winehouse sings with as much power and sinew as the soul divas she fetishizes, and whether by accident or imitation, she's got their troubles, too; man trouble, booze trouble  even grammar trouble. ("What kind of fkery is this?/ You made me miss the Slick Rick gig" she demands on Me & Mr. Jones.) 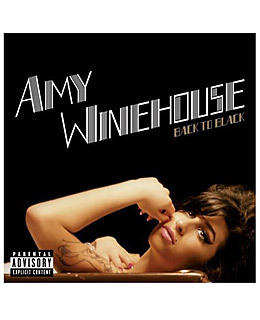 What makes Back to Black more than brilliant reincarnation is a combination of Winehouse's recording persona  so convincingly authentic that when she says, "I'd rather be at home with Ray," you know exactly which Ray she means, and you know she's not kidding  and Mark Ronson's production. Ronson understands all the tricks of the Stax generation, but he syncopates closer to hip hop and never lets the arrangements upstage his star. Not that they could.